I don’t care what the media says. My memory of Egypt is not a country with angry citizens with secret hatred towards the West. Quite the contrary, when I was in Egypt a year ago, I was told I am welcomed to visit the country by the average citizens in daily interactions more often than in any other countries I visited. It is fitting that the picture above was taken outside the Friendship Monument in Aswan. I was intrigued by the group of school girls with their colorful headscarfs. Before I visited, I had assumed (wrongly) that it was only acceptable for the women there to dress in dark colors, as I reasoned that putting on any other colors might be too flashy for a gender that’s supposed to dress modestly in that part of the world. Knowing what I know now, I am not proud of my ignorance then. I was also literally quite taken aback when this same group of school girls approached us, smiled widely, and out of the blue, says “Welcome to Egypt.” Not just one of them, but one after another. This same experience would later repeat itself as we visited other parts of Egypt. 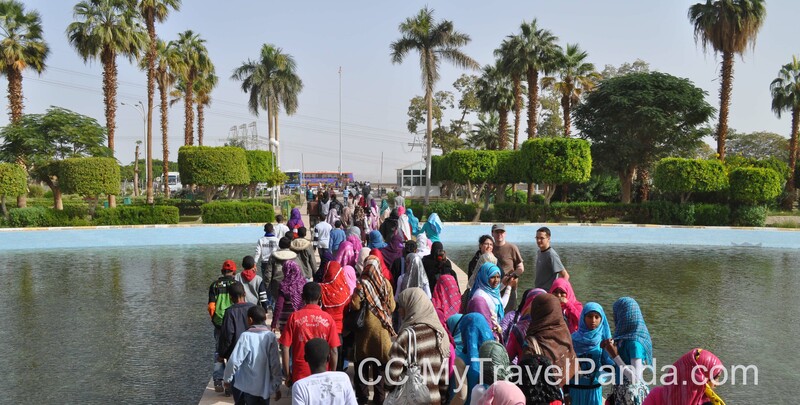 One of the most common “complaints” I heard from others who have been to Egypt was how persistent some Egyptians are in asking for tips or money whenever there is an interaction with tourists. To that, I would like to offer a different perspective. I admire the persistence of the Egyptian people to provide for their families. Egypt is no New York. Most of its population is trying to make a living as best they can and know how. Put yourself in their shoes. If you have a family to feed, and don’t have a job, wouldn’t you try your best to put food on the table? It’s not stealing; It’s not a crime to ask; You have a right to say no. If there are no jobs, and you have a father/mother/sibling/kid that you have to provide for, what’s the harm in just asking for tips after providing a service? So I say next time before we give the cold shoulder and an attitude to those who are less fortunate than us, let’s just first say thanks that we do not have to go to that length to provide for our families. We are truly fortunate and blessed to be able to see their country. I know what I saw and experienced when I visited Egypt just a year ago, and I am sticking to my fond memory of the country and its people. When you are ready for it, you should give it a try as well.